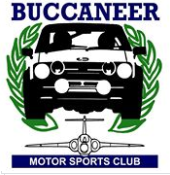 The Blackburn aircraft motor club was the initial incarnation of BMSC can be traced back to October 1936. The first newspaper report was as follows The Blackburn Aircraft Motor Club a newly-formed sports section of the Blackburn Welfare Society of Brough held their first reliability trail yesterday. An entry of 30 received, an excellent figure for a new club. Rain had saturated the course, but the standard of driving was high and no accident or breakdowns were reported. The competition ended with tea at the Bell Hotel, Driffield. By permission of the Blackburn Aircraft Motor Club, the 500 Club was enabled to stage a series of races for their twanhers over an excellent 0.65-mile circuit. laid out at the Blackburn Company's aerodrome at Brough. An excellent motor-cycle entry made up the main part of the programme, and, in spite of continuous torrential rain until the end of the afternoon, some 5,000 spectators attended and stuck it out under very discomfiting conditions.